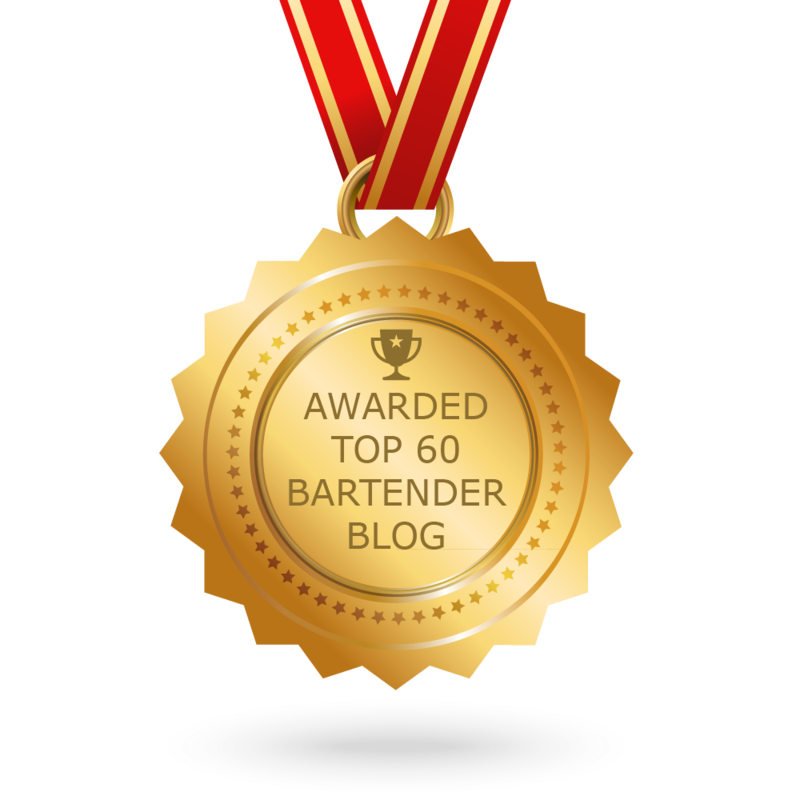 The Best Bartender blogs from thousands of top Bartender blogs in our index using search and social metrics. Data will be refreshed once a week. Also check out Top Bartender Youtube Channels list for Top videos on Bartender. 2.7 Bartender HQ - Cocktails, Bar Culture and More. 2.49 Bartender 608 Intoxicologists & Cocktail Caterers, LLC. Bartender newsletter is a comprehensive summary of the day's most important blog posts and news articles from the best Bartender websites on the web, and delivered to your email inbox each morning. To subscribe, simply provide us with your email address. Melbourne, Victoria About Blog The ULTIMATE resource for aspiring & professional bartenders. Become a bartender, make great money, travel the world, live the dream! Follow this blog to learn How to Become a Bartender. Sydney, Australia About Blog Australian Bartender has all the latest news about bars, bartenders, and bar operators and what's happening in the Australian bar industry. Follow this site to get latest and up-to-date news from the bar industry. Facebook fans 14,850. Twitter followers 11,571. Boston, MA About Blog BevSpot is a Smarter Bar Inventory and Bar Management Software company. Follow this blog for trends, advice, data and big stories for the restaurant and bar industry, plus resources to help you grow your bar management strategy. Facebook fans 10,577. Twitter followers n/a. Facebook fans 4,725. Twitter followers 28,991. 7. Bartender HQ - Cocktails, Bar Culture and More. UK About Blog Established in 2014, BartenderHQ is all about bartenders helping one another to raise the bar in the hospitality industry. We started out as a place for bartenders who wanted to move their game. Follow this site and get cocktail recipes, mixology, Bartender tips and how to earn more money behind the bar. Facebook fans 2,348. Twitter followers 1,636. London About Blog BarLifeUK launched in 2010, and quickly became one of the leading information resources for the bar trade, both at home in the UK, and overseas. Follow this site to know about everything related to bar and bar trade. Facebook fans n/a. Twitter followers 12,230. San Francisco, CA About Blog Everything you need to know about bartenders..Follow this reddit to get all the tricks and tips you need to know about bartending. Facebook fans 1,189,148. Twitter followers 548,540. San Francisco, CA About Blog Wondrous and crazy stories...Follow this subreddit for bartenders and patrons of bars, really anyone with crazy stories from work, the pub down the street, or the late-night dance club. Largo, FL About Blog The largest source for barware, bar supplies and everything for the pro and home bartender. Follow this blog to get bar articles, News, Recipes and More. Facebook fans 104,404. Twitter followers 809. Los Angeles, CA About Blog Tipsy Bartender is devoted to inspiring those new to bartending, longtime liquor connoisseurs, and everyone in between.Tipsy Bartender is a home to the largest social media gathering of drinking enthusiasts in the world! Follow this site and get delicious, bright and creative drinks and get mixing! Facebook fans 21,267,612. Twitter followers 110,364. London About Blog European Bartender School is the world’s leading bartender school and has been dedicated to training people to become professional bartenders since 1999. We teach the world’s most developed bartending programmes which have been created by industry experts such as Marian Beke, Johannes Kinch, Tom Dyer and Björn Kjellberg. Follow this blog and read about the bartender life, our schools and different courses here. Facebook fans 1,061. Twitter followers 2,341. Facebook fans 20,028. Twitter followers 3,832. Global About Blog European Bartender School is the world’s leading bartender school and has been dedicated to training people to become professional bartenders. Facebook fans 331,932. Twitter followers 2,589. Adelaide About Blog Adelaide's Bar & Beverage Service. We provide stress-free Cocktail Bartenders, beverage solutions for corporate events, weddings, engagements, birthdays and other private functions. Chicago, IL About Blog Uncorkd provides iPad wine lists and drink menus, bar inventory and alcohol ordering software for restaurants & bars to manage their beverage programs. Electronic wine & beverage menus that take the guesswork out of finding the right wine in a restaurant. Facebook fans 339. Twitter followers 2,088. Delray Beach, FL About Blog News for bartenders and other people serving alcohol. We promote the responsible service of alcohol. Facebook fans 869. Twitter followers 149. About Blog Recipe lists, helpful mixology guides, cocktail history articles and bartending tips from the creators of Mr. Boston Bartender's Guide. About Blog Follow Bartender One to get latest news, updates and information about bartending. About Blog The Bartender Journey Podcast is impassioned talk about Bartending, Spirits and Cocktails. Facebook fans 4,858. Twitter followers 1,062. About Blog The #1 stop for all the help you need to become a bartender. About Blog Be A Better Bartender is the home of bartending. Get under the skin of being a bartender, come and Better yourself with us today. Facebook fans 55,018. Twitter followers 2,454. Facebook fans 9,242. Twitter followers 604. About Blog Drinks World magazine is a collective of the most highly respected local identities supported by international experts – the industry coming together. The Magazine for Managers, Sommeliers and Bartenders. Facebook fans 6,771. Twitter followers 189. Facebook fans 948. Twitter followers 2,672. About Blog Get the latest bartender tips real time. Check out the latest blog posts, articles and technology to help you be a more effective bartender. Facebook fans 43,715. Twitter followers 5,490. Facebook fans 2,925. Twitter followers n/a. About Blog The online bartending school that actually works, from the bar management guy, Dave. Find tips and tricks for bartending. Italy About Blog Welcome to Bartender.it! The first Italian web magazine dedicated to the world of international mixology and bartending, with a particular focus on Italy's contribution to the world of mixed drinking. Facebook fans 140,329. Twitter followers 546. Facebook fans 53,976. Twitter followers 2,406. About Blog BOTY connects people at the bar. Search for bartenders and people at the bar. Facebook fans 45,466. Twitter followers 14,309. About Blog Follow The Real Barman to get information about bartending. About Blog We mix quality craft cocktails for your event. We don't just serve drinks. We want to give your guests an experience! Here you will find Professional Cocktail and Flair bartenders. Facebook fans 9,301. Twitter followers n/a. About Blog The Bar and Restaurant Coach. We help Bar and Restaurant Entrepreneurs systemize, stabilize & scale their businesses. Facebook fans 3,396. Twitter followers 857. Los Angeles, CA About Blog Hello! Mr. Bartender here, the Craft Cocktail Caretaker, the Happy Hour Drink Shrink, the Moonshiner, Sommelier, and Barkeep, all rolled into one mixing, stirring, inebriating Liquor Engineer. I have an extensive knowledge of cocktails, fine spirits, and cigars! Facebook fans 1,333. Twitter followers 633. About Blog Become a professional bartender with our selection of quality barware. The Bartender Collective was created to bring you the very best bar tools that we use ourselves. From cocktail kits and shakers to whiskey stones, we have everything you need. About Blog From the #1 bartending site In the world, and the #1 bartender trade magazine, with over 30 yrs experience tending bar! Facebook fans 189,502. Twitter followers 2,253. Bay Area, CA & LA areas About Blog Hello, I'm Dave Allred, owner/CEO of Bar Patrol. I am also an author, blogger, husband, father and Duke basketball nut. Facebook fans 370. Twitter followers 252. About Blog An intoxicating and informative journey through the bars of Boston and beyond. Facebook fans 190. Twitter followers 1,058. About Blog Follow Pierce & Luna to get information about bartending and drinking. About Blog The Bartender Magazine is a free magazine for bartenders on all levels, with free articles, tips and tricks. The Bartender's source of knowledge for bartenders - by bartenders. Facebook fans 22. Twitter followers 1. 49. Bartender 608 Intoxicologists & Cocktail Caterers, LLC. Madison WI About Blog Welcome to the Bartender 608 blog; here you'll find adult conversation, beer, wine and spirits news, videos of my buddies Cobb & Eli and oh yeah--even cocktail recipes. Stay tuned! Facebook fans 206. Twitter followers 291. South Africa About Blog The Spirit Merchant Trading Company is a South African retail website designed by bartenders for bartenders. We specialise in the sale of unique, quality bar equipment and specialty spirits & liqueurs. Honolulu About Blog Hawaii Private Mobile Bartender Services. Free Spirits Mobile Bartenders is a mobile bartending service that is committed to providing a personalized and professional service together with convenience for your parties and events. About Blog Today's Bartender is the latest internet magazine to be solely dedicated to bartending industry and the art of being a bartender. Bartenders all over are looking for a new voice, an new outlet to bring the fun art of drink making to homes and restaurants all over the world. British Columbia, Canada About Blog The Canadian Professional Bartenders Association (CPBA) is an organization formed in Vancouver in 2009 by a small group of Bartenders with a simple mission: to foster community and promote the advancement of the profession of Bartending in Canada. Facebook fans 1,200. Twitter followers 968. About Blog Licensed and insured professional mobile bartending in Tucson makes your next event classy and safe. From set up to service and clean up, we do it all. About Blog Follow this blog to get tips, updates and information about bartending. About - Bartender at Large is a love letter to the art of bartending and the world of craft cocktails. It provides an examination into the modern cocktail renaissance, and allows you to experience it all through the lens of one bartender’s road trip. About - Natalie is a displaced southerner now residing in Seattle, WA. She is a home bartender, cocktail stylist, photographer, freelance writer, and recipe developer with a flair for discovering new and creative ways to use booze. She believes that every occasion begins and ends with a beautiful drink! About - Tipsy Bartender is devoted to inspiring those new to bartending, longtime liquor connoisseurs, and everyone in between.Tipsy Bartender is a home to the largest social media gathering of drinking enthusiasts in the world! About - Dating back to 1999, Bar magazine offers inspiration, guidance and contacts for bar operators and managers to develop their business and fulfill a venue’s potential. The UK's monthly print magazine and website for the bar trade. Bar news, inspiration and guidance for bartenders. About - Established in 2014, BartenderHQ is all about bartenders helping one another to raise the bar in the hospitality industry. We started out as a place for bartenders who wanted to move their game. Cocktail recipes, mixology, Bartender tips and how to earn more money behind the bar. About - BarLifeUK launched in 2010, and quickly became one of the leading information resources for the bar trade, both at home in the UK, and overseas. Everything related to bar and bar trade. About - Chilled Magazine features new products within the drinking and nightlife community and stories on the founders, distilleries and breweries in the market. Also drink submissions by bartenders, mixologists and readers are also featured here. About - Two For The Bar is a space dedicated to illustrating the magic of shared experience that can occur in the presence of a great cocktail and a talented bartender. These stories and recipes are meant to highlight what I have come to love about craft cocktail culture and perhaps even inspire readers to go and experience it for themselves. About - The Canadian Professional Bartenders Association (CPBA) is an organization formed in Vancouver in 2009 by a small group of Bartenders with a simple mission: to foster community and promote the advancement of the profession of Bartending in Canada. One of our main functions is to serve as an educational platform for our members to learn more about service, spirits, beer, wine, and cocktails. About - Australian Bartender has all the latest news about bars, bartenders, and bar operators and what's happening in the Australian bar industry. Follow this site to get latest and up-to-date news from the bar industry. About - Adelaide's Bar & Beverage Service. We provide stress-free Cocktail Bartenders, beverage solutions for corporate events, weddings, engagements, birthdays and other private functions. About - We’re a one-stop resource for new, aspiring, and professional bartenders, made by bartenders. We cover the life, the party, the booze, and the cocktails. But most importantly, we provide actionable advice that you can use to become a better bartender & fast-track your career. CONGRATULATIONS to every blogger that has made this Top Bartender Blogs list! This is the most comprehensive list of best Bartender blogs on the internet and I’m honoured to have you as part of this! I personally give you a high-five and want to thank you for your contribution to this world.